Last weekend Steve and I went to Mt. Dora for the Extravaganza. 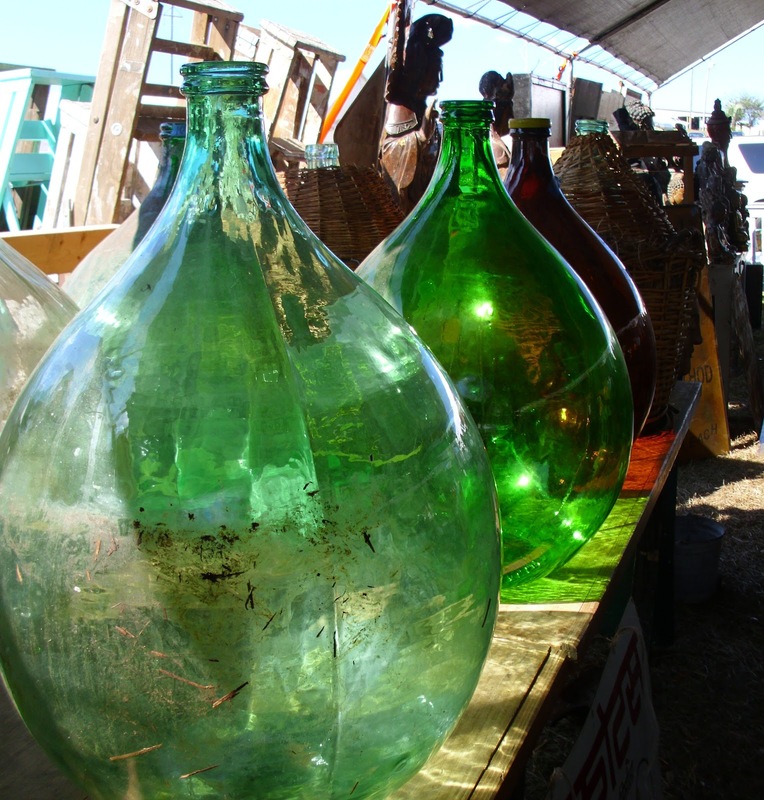 The HUGE antique market is held three times per year. 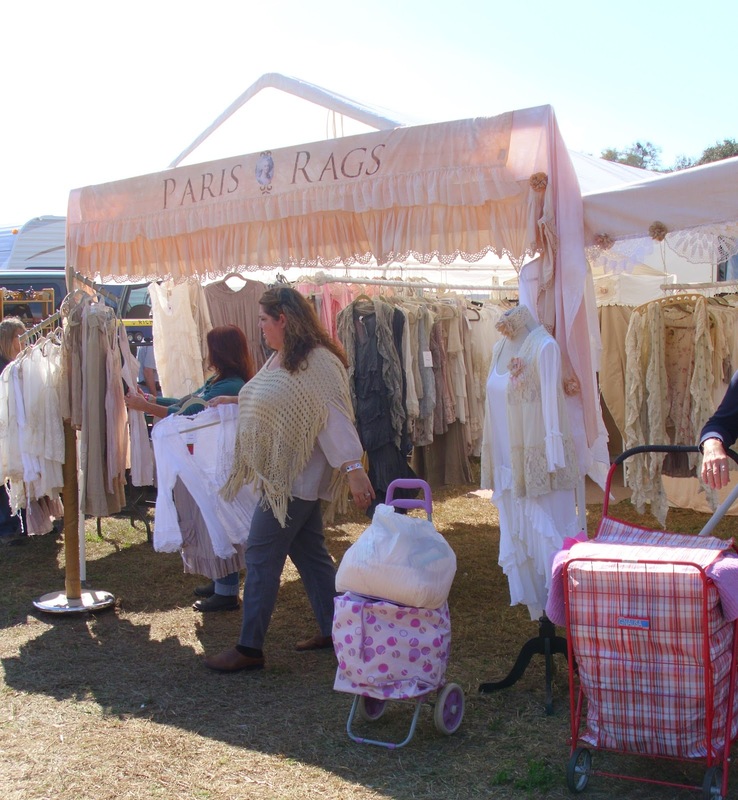 Over 1400 dealers set up in the fields and open air pavilions. In addition, there are over 200 permanent dealers housed in several buildings. Those dealers are open every weekend. We spent seven hours at the market, only stopping for a quick lunch. Steve and I walked, and walked, and walked and we probably only saw about half of the dealers. You may remember back in November I bought a giant clam shell at the Extravaganza. Does my honey know me, or what? Here’s Steve carrying one of our purchases. looks like so much fun, I need a day like this! now, what kind of fabulous stuff did you buy? 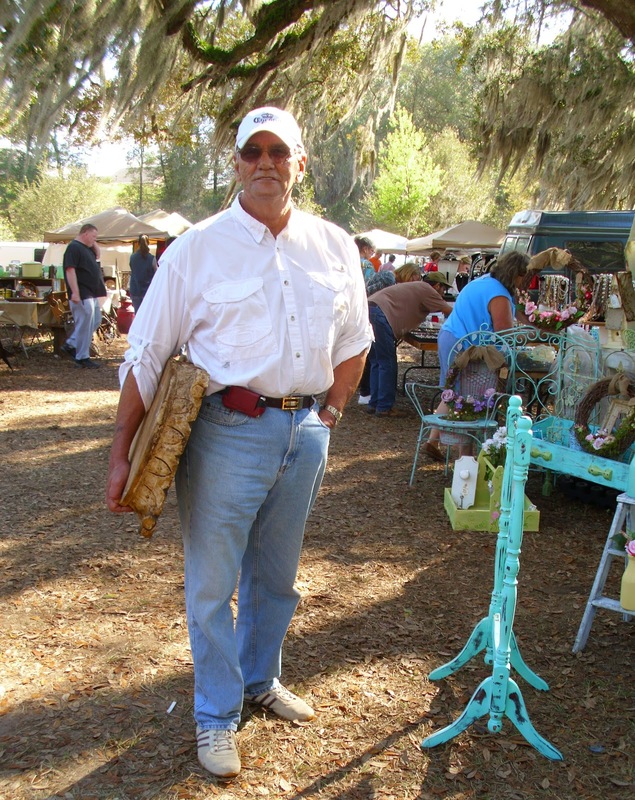 I have never ever been to a big outdoor flea market. I would love it. Oh, I spy demijohns and other great things. Love the FART sign. I love Renningers!! I live only 20 miles away and go often but never tire of it. Can't wait to see what you purchased! Wow! This looks like a wonderful shopping experience! 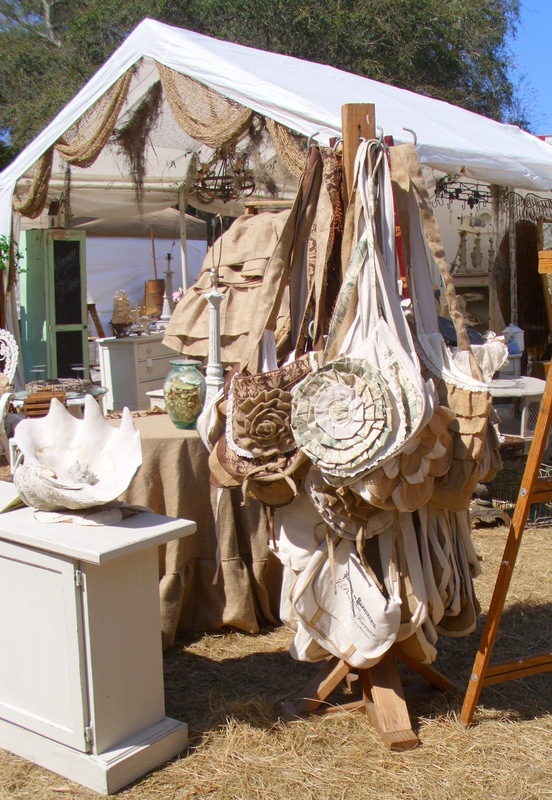 Oh I would love to shop at this flea market! I love Renningers! 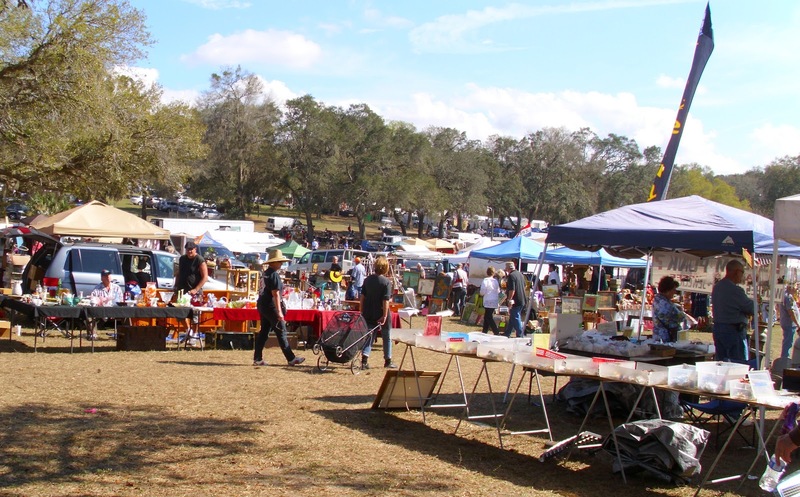 Are you going to the Fancy Flea in Lakeland April 6th??? Oh you're so lucky!!!! Wish I could go there!!! And see that Florida weather! Oh my goodness… what a great place to look for treasures. I could be lost there for a week! Wow that is a graet amount of eye candy treasures. I bet you had a great time. 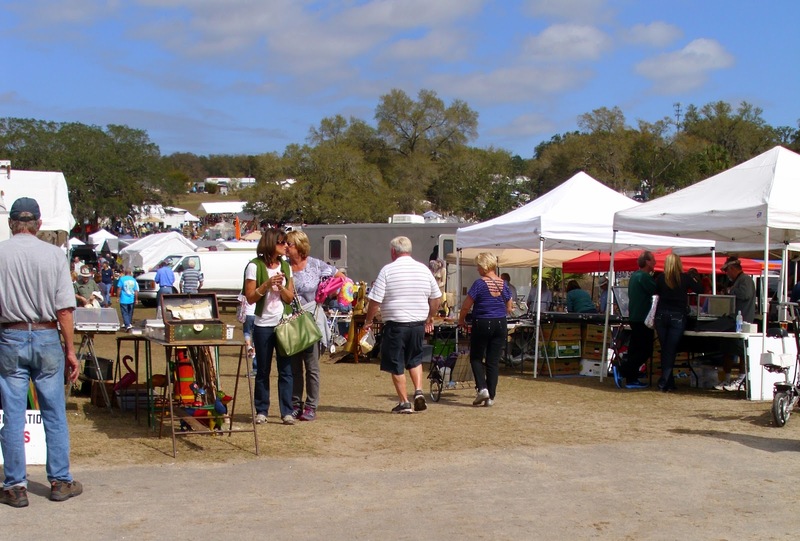 Nice beautiful weather and a flea market and that cute town can't get any better. I saw soooo many booths/dealers that I would have visited. 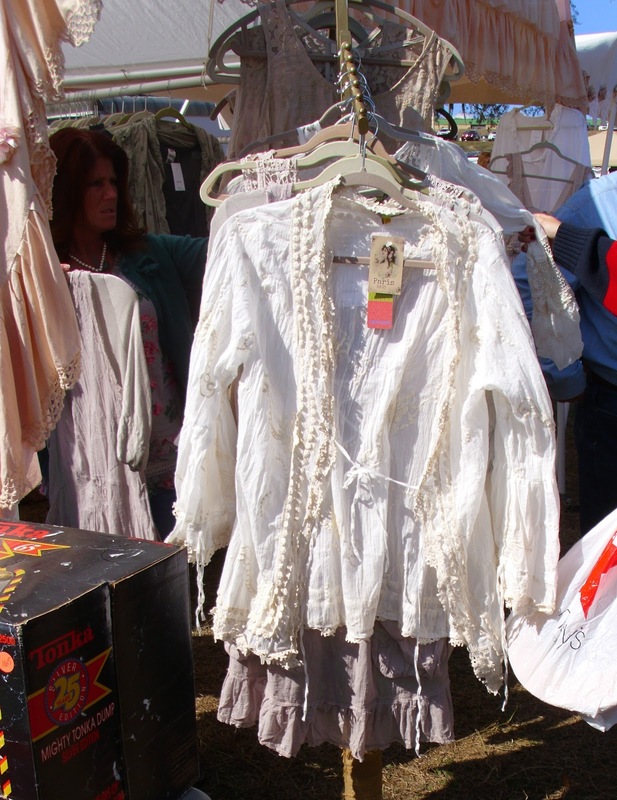 I love the cotton clothing that the French stand had. Did you get anything else that day? I remember as a teenager being in L.A. and going to a huge 'swap meet.' It was great!!! Looks like you had a fun day!! Fun! 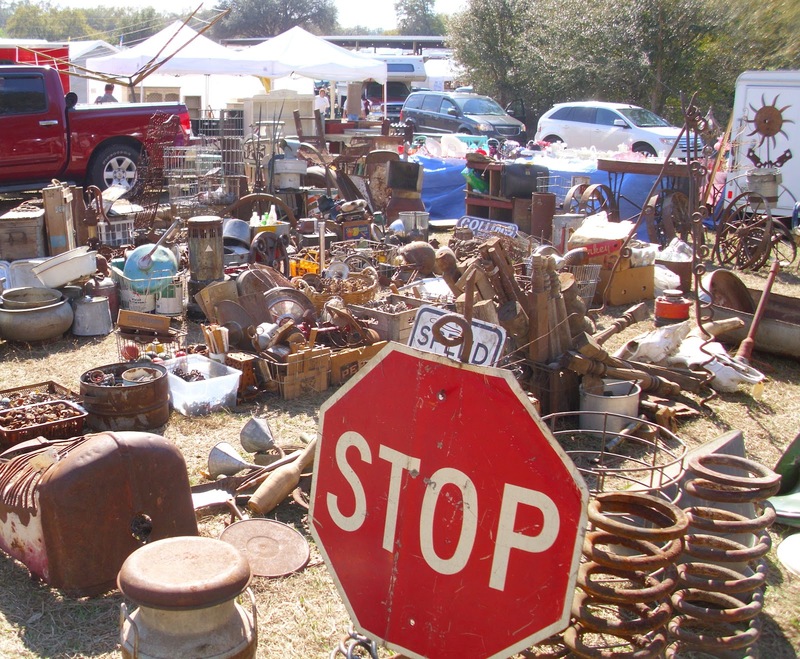 Looks just like Brimfield, tons of junk with some treasures sprinkled in too. Love the thrill of the chase….at least half the fun! Looks like you had a lovely day. Can't wait to see what you pick-up! Ohhhh! Love the rusty crusty urns! I wish that blogs were live….then I could message you and say I'll Paypal you to get those for me…lol Its like a love hate relationship when you see a favorite blogger shopping trip. Love what I see, hate that I'm there. Oh my Sherry! You hit a nerve! Mt Dora is one of the places I SO want to visit! It's so far from my sister's house in Deerfield but I need to schedule a visit to her and make the effort! When is the next sale? That looked like a fun way to spend the day! I love outdoor markets like that. Looks like you found something good too. How to ever decide with all the options! I see some huge truck springs I think I want some counter stools out of for starters. Oh my gosh, what a great place to be. I loved the huge stained glass window and the shutters. Sherry, What a fun day. 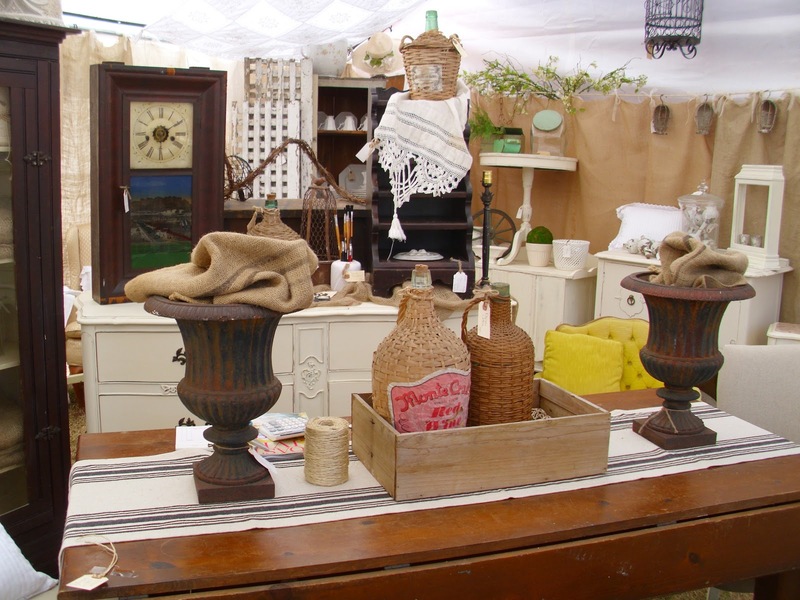 I loved seeing all the booths filled with treasures. 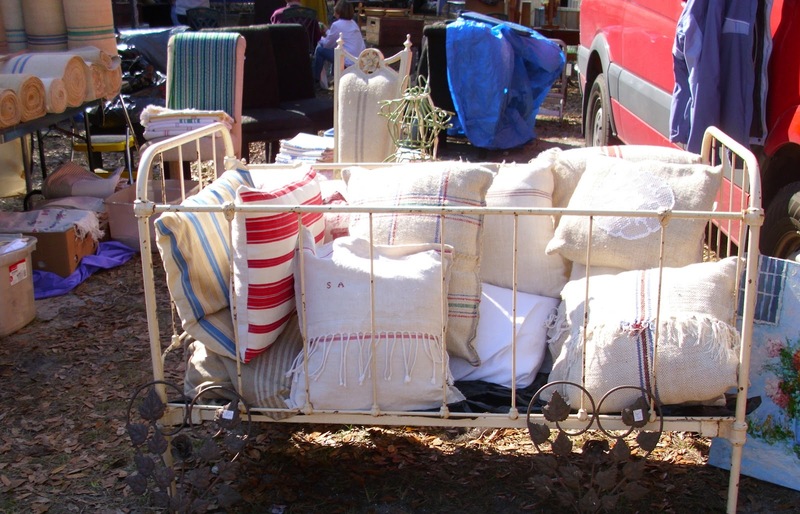 I can't wait for flea markets to open here again, but first we will need to get rid of the snow. Thanks so much for sharing this show. I have always wanted to go, but it just hasn't worked out…maybe ond day. 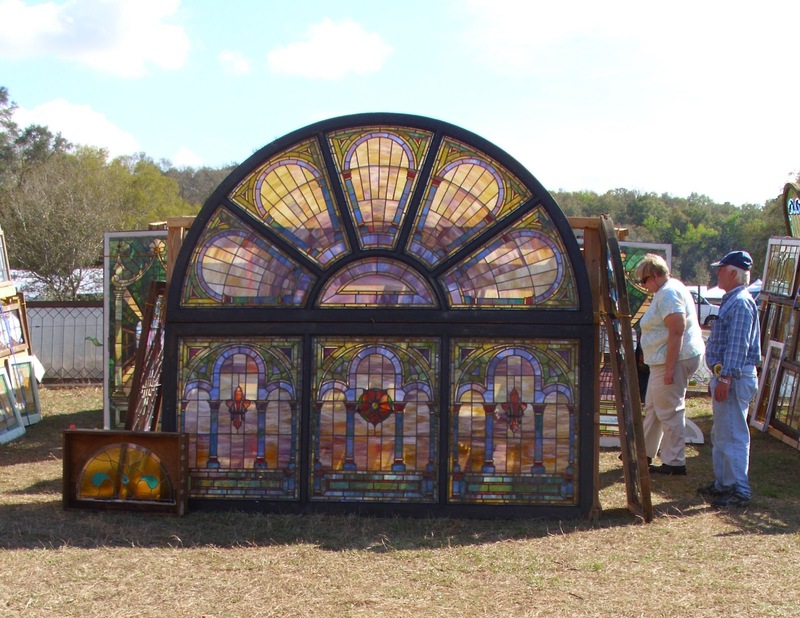 I LOVE that huge stain glass window…can we say…BEAUTIFUL!!! 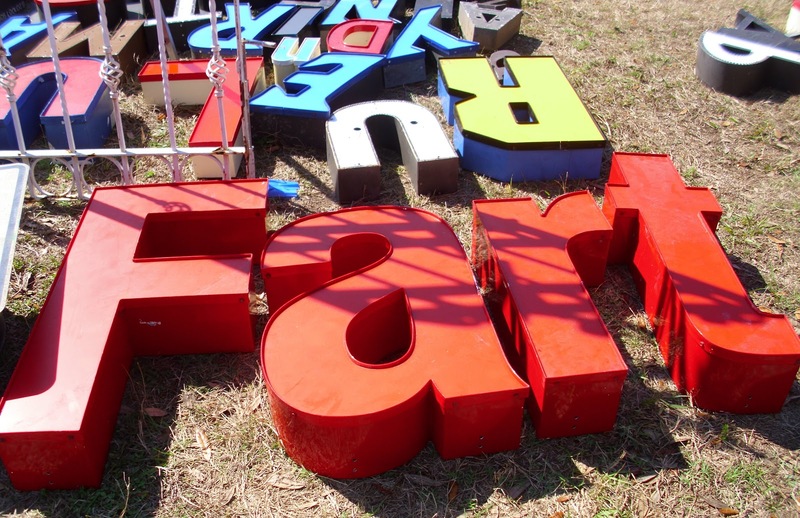 wow, i see a lot i would have loved to bring home…that FART sign is hilarious! What great fun you must have had. This looks like a wonderful market. ok that place LOOKS aMaZEBallS! What a small world! My hubs and I were in Mt. Dora that weekend also! We live in Tampa and try to hit one of the 3 extravaganza's every year. 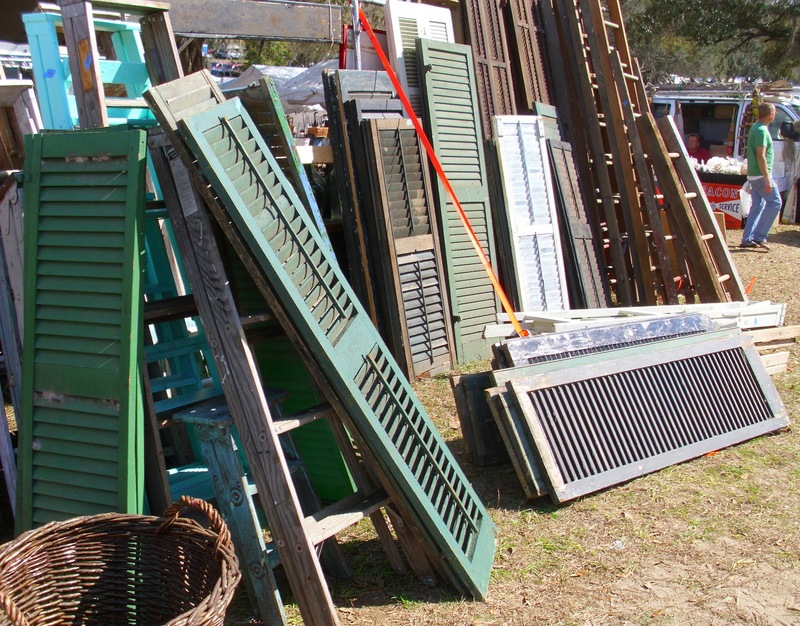 I actually bought 2 green shutters from the booth selling those! I've already painted them white and plan to hang in my living room! We did SO much walking but it was SO much fun! Fabulous! Sure wish I could go! Oh, man! I'm so bummed I didn't get to go this year. Looks like they had a true extravaganza of vendors. Thanks for the little glimpse into the fun to be had. Thank you – I have always wanted to attend one of these. I spied so many "I wants" – I would have to take a strict list and look only for those items – too much temptation. Oh, what fun! I wish I could go! There were plenty of goodies in the pics that I would have got for the right price! 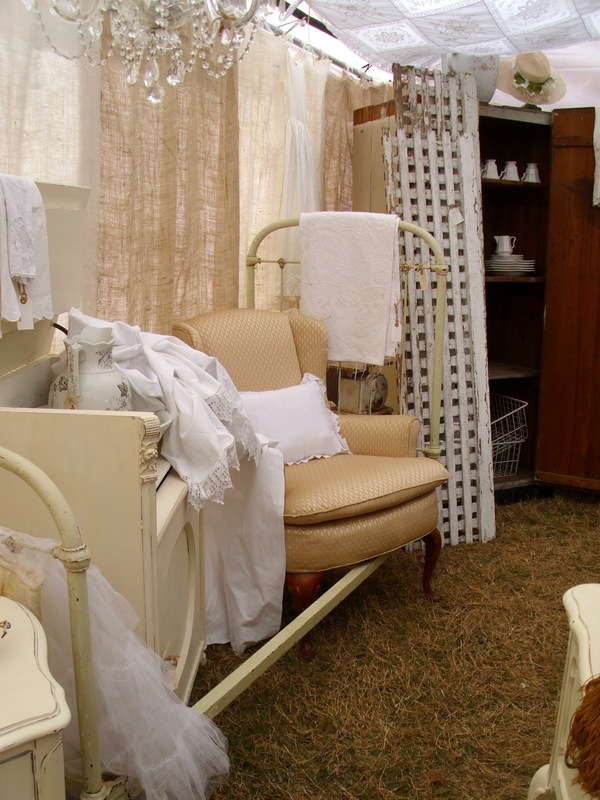 I have a baby bed just like the one in the pic that I have stored in the attic! Looks like so much fun!! 🙂 I hope you snagged some fabulous finds!! Can't wait to see to see what you got for your birthday, Sherry! The weather looks fabulous and that was in February!!! One of the perks of living in Florida, huh? You got some great pictures of the Extravagaza! I live less than a half mile from there and go there often. I love that place! I can't ever get out of there without a cart full of goodies! Best durn place ever! WOW…..where is this great extravaganza ? Looks like my kind of place!